Hey everyone, Steph here today. I created some really create little flowers recently using hot glue and gelly plates. Totally fun to create, but what was I going to do with my little creations?? Well, they needed some centers, so I used the Best Glue Ever to add some pearls to the flower centers. While the pearls are self-adhesive, they needed some "help" to say in place. And what better glue to use than the Best Glue Ever! 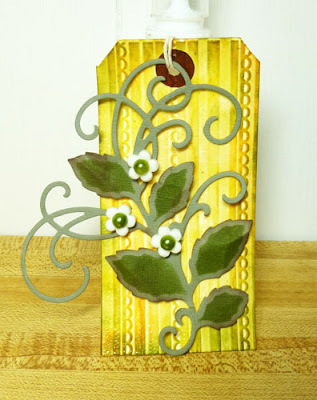 While waiting for the pearls to set, I created a tag using a Sizzix Embossing Folder and tons of Clearsnap Inks. After inking and die cutting the flourish, I adhered it to the card with the Best Glue Ever, then added the flowers amongst the leaves with another dab of the Best Glue Ever. Pretty isn't it? And no worries about those flowers ever falling off the tag!! Hey, did you know that Scraperfect is having a design team call? If you love to create, check out the details here. I've finally sat down to complete three mixed media mini-canvases as Halloween decor. This idea has been rattling around in my head ever since I first formatted the collage sheets with vintage body part engravings. The canvases are 4 inches square. I inked the edges in two browns, as well as the edges of the my cut out collage images. As usual I used the Perfect Crafting Pouch to dry the ink immediately. 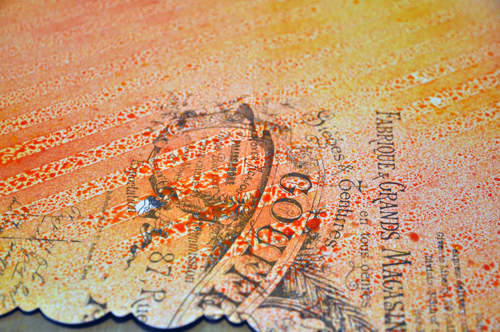 I glued the printed image with tiny dots of Best Glue Ever. I added stamped images on tags and as texture. Then I layered on a selection of chipboard stickers (reinforcing the sticker adhesive with BGE). I even had chipboard buttons, which I adorned with some waxed threads, and raised using craft foam - BGE handles every material just fine. 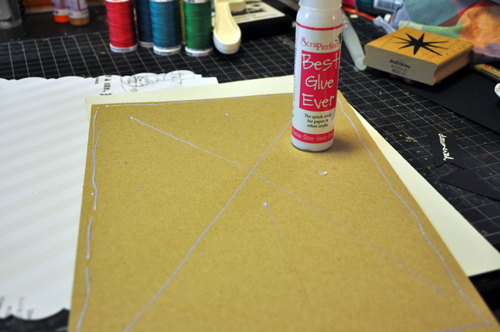 I did a small amount of embossing, using the PCP to prep my work surface to avoid static cling with the powder. Then I placed Dew Drops with the Embellie Gellie. 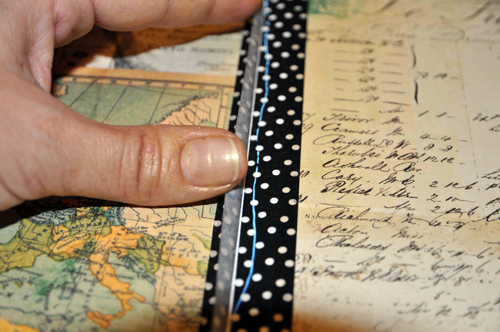 The borders are some striped paper cut into strips. I pushed some upholstery tacks raised with small washers into the bottoms as feet, and then used various hardware fittings and galvanized wire to finish the decorating. I think my favorite is the forest of nails wound with wire, but the hanging key is nice too. These would be a fun part of Halloween table-scapes or mantel dressing. I need a could of slightly larger canvases to add to this now, but I sure am happy. Last thing - cleaning my stamps with Best Cleaner Ever, just like always. We’re looking for talented and creative individuals to join the 2013 ScraPerfect Design Team. 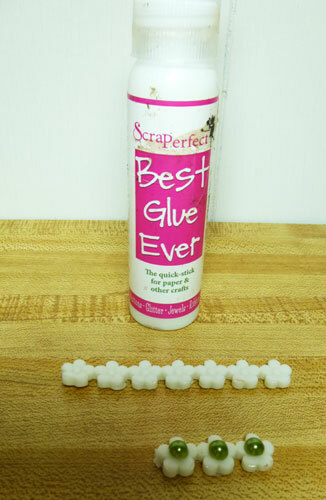 Have seriously more fun crafting with ScraPerfect's Magically Perfect Craft Products. Get results beyond your wildest dreams! 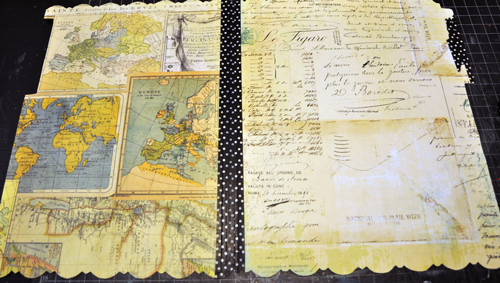 Are you a stamper, scrapbooker, cardmaker, mixed media and/or an altered artist? Do you love to create? Can you take photos of your work and write easy-to-follow instructions? Do you like to make "How-To" video tutorials? Would you like to challenge yourself to explore & experiment, while inspiring others? If you said "Um...YES!" --> then ScraPerfect is looking for you! A short bio. Tell us about yourself! We’d like to know how you’d define your style, what kind of projects you create, if you've been published. Tell us why you'd like to be a part of our team. A list of your current design teams and obligations. A link to your blog, Facebook, Pinterest, Tumblr pages. A link to a tutorial or video on your blog (within the last 6 months). A link to your on-line gallery(s). Attach 3 of your best projects - 1 card, 1 altered item and 1 other project (layout, mix'd media, tag, etc). Please keep the file size under 150K and describe any special techniques you used to create your projects. Creative ideas for events or activities which will help promote ScraPerfect products. Create 3 – 4 projects each month. A step out tutorial to go along with 1-2 of your projects. A video tutorial if possible, but not required. Two posts (min.) per week on message boards you frequent promoting our products. DT members will be provided with free products from ScraPerfect and from other collaborative manufacturers, as well as the opportunity for publishing compensation. You'll also be promoted on our blog and website, and receive a badge to post on your blog. Applications must be emailed to scraperfectdt@hotmail.com by midnight PST on Friday, September 13th. We’ll announce our new team shortly thereafter. Design team members will serve a twelve-month term starting October 1, 2013. We are excited to see your applications! PS: If you are not familiar with The Best Glue Ever™, Embellie Gellie™, The Perfect Crafting Pouch™ and our other products, check out the videos ("101") on each product's page at www.ScraPerfect.com. I spent part of July cleaning my work area and came across a huge envelope full of brochures, receipts and ephemera from a family vacation back in 2011. As luck would have it, I'd recently picked up a large handful of Heidi Swapp products. Her memory folders were the perfect home for my memorabilia. However, as I planned out my album I realized that I'd need to reinforce the folders to make them sturdier. 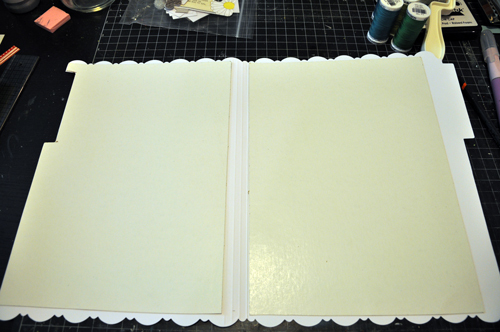 I planned on sandwiching several folders and stitching them all together. So with a bottle of the Best Glue Ever and a few inserts from my husband's dry cleaning I was ready to go. Just a little line of the Best Glue Ever around each edge and across the middle was all I needed for a good hold. I trimmed the chipboard to fit the inside of the folders. The next step was to apply color to the outside of the folder. I used Heidi Swapp's Color Shine - the surface has a patterned resist. Once the folder was dry it was time to cover the interior. I choose two different papers for each side of the folder. 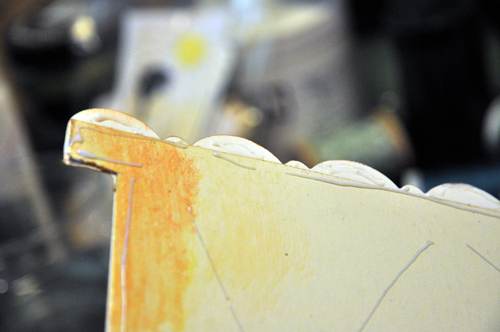 The fine tip of the Best Glue Ever let me make a thin line along the edges of the chipboard and the curves of the scalloped edges. To conceal where the paper edges meet and to give a bit of reinforcement to the spine I added two strips of washi tape. However, the tape doesn't always stick very well to itself. The solution? Another thin line of the Best Glue Ever. And here's the finished project. The Best Glue Ever was key to adhering the elements in this album, including the transparent film strip on the cover.